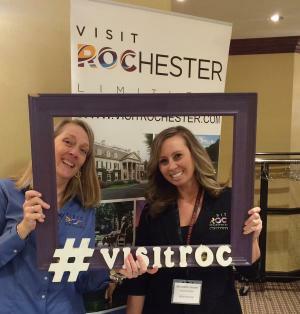 Visit Rochester and its partners in the tourism and hospitality industry are hitting the road! 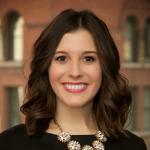 This Thursday, April 13, Visit Rochester Senior Sales Manager Carol Bartlett will lead a group of twenty representatives from Rochester&apos;s tourism industry to Albany, N.Y., for the Rochester-to-Albany Trade Show. This is the 3rd annual Rochester-to-Albany Trade Show. The showcase is designed to introduce Albany-based meeting planners to all of the unique venues, hotels and experiences Rochester has to offer. The Rochester showcase is unique in that it introduces meeting planners to a wide range of attractions, beyond the traditional meeting and convention properties. Meeting planners will learn more about and directly engage with many of the unique experiences meeting attendees can enjoy while in Rochester for a meeting or convention. Meetings and conventions held in Rochester play an important role in supporting the economic impact of the tourism and hospitality industry in Monroe County. Tourism activities in Monroe County generated an economic impact of more than 1 billion dollars in 2015.